Online casinos are a complex world, and it is not that easy to dive in. To make sure that your start as an online casino player goes smoothly and that you get the best experience straight ahead, here is a short guide. When looking to join your first online casino, here are some things you need to know first. First of all, going online does not mean that you have to choose between online casinos and land casinos. Many players do both! So that would be double the casino fun. You will have more choice than if you are looking for the perfect land casino in your area. Especially if you live in a small town, where it is not always easy to find the ideal place. On the Internet, more than 400 online casinos are waiting for you! It is easy. It is undeniable, going on your computer from your own living-room and google an online casino is way easier than getting your car or taking the tube to go for a spin. You can play everywhere. Online casinos are not limited to your home computer. Online just means that you need an Internet connexion. Once you have that, you can visit your favorite website on your phone, whether you are on a train or in your dentist’s waiting room. Freebies. Online casinos almost often offer a welcome bonus to their new players. The bonus can be extra cash or some free spins. On some online casinos, you can even get a bonus without having to enter your payment details! These are called no deposit bonuses, and they will enable you to try some of the games before committing. What are the different online casinos? There are different types of online casinos, and you sure want to make the right choice before you sign in! 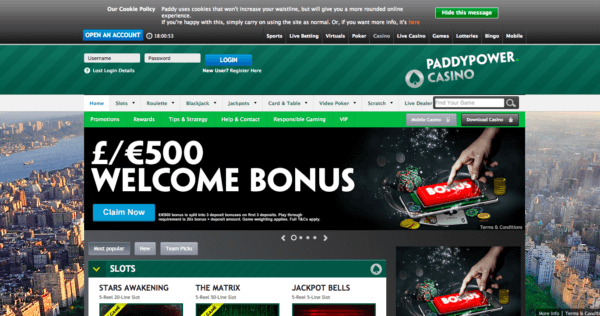 Classic online casinos: these casinos usually have a sober visual identity. You can find classic casino games such as Poker, Roulette, Blackjack, as well as some slots and live casino games. They are fun and playing on these casinos feels like being in a real land casino, only you don’t have to walk in the cold to get there. 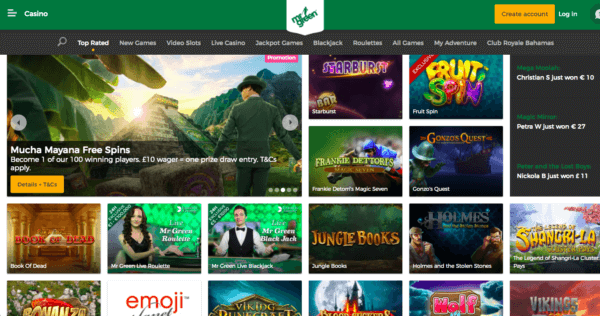 Themed online casinos: this category gathers online casinos that are pretty classic but have a strong visual identity that will make you feel more part of a community. Mr. Green’s online casino is a good example of a themed online casino. Also, some casinos are specialized in a particular game, such a scratch card for Scratch2cash or slots. Immersive online casinos: immersive online casinos are for the most adventurous players. When signing up, you enter a different world, that sometimes has a different currency. You are the hero of a quest and you have to fulfill some missions to win cash and play more. These casinos often have a narration and a story and are close to role-playing. As we have said, it depends on the website. However, most online casinos offer the following games. Blackjack: a great table game that offers good odds. 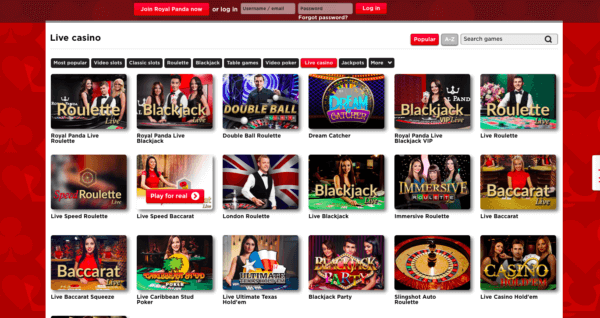 Roulette: Roulette has many different versions and most online casinos will have at least a few so you can have fun trying them all. Poker: Live or just online, poker is a classic one out there. Slots: Slots are hugely popular both in land casinos and online. Usually, an online casino has more different slot games than of any other game. They often have creative graphics and cost less than a table game. Scratch cards: scratch cards are a little bit less popular than the others in the world of online casinos. However, you can frequently find some. If you enjoy this type of games, make sure that your first online casino offers scratch cards games. Online casinos that are also sports betting websites will, of course, provide you with some online sports betting. Check-out some live sports betting: when the graphics are good, this can be highly entertaining. When you gamble, there is always a risk that you will lose some money in the process. However, there are some ways to avoid spending too much, so you have a better chance of cashing out some earnings, or at least of not emptying your bank account. It might sound obvious, but the more bonus, the less the chance of losing real money. If you can get a no deposit bonus, then a first deposit bonus and a second deposit bonus, that is way more chances of winning and you will have to use less money. But the deposit bonuses are not the only bonuses to be taken into account. Online casinos often reward their regular players with a good VIP system. The more you play, the more rewards you will get. Keep in mind that getting new bonuses will keep your money safe while you spend the bonus money. This will give you the opportunity to get used to the games. Some casinos offer their players to set a deposit and a loss limit. You will be able to enter the amount that you are willing to spend daily, weekly or monthly. While this might sound like it puts a limit on the fun, it will actually make your playing experience safer and more relaxed. Play as long as you want, knowing that you won’t cross your own limit by accident. Establishing some rules for yourself with the help of your casino is a great way of freeing yourself from the fear of losing too much. A good way to keep your money and make some is to know which games to play to get the best odds. Online casino’s payout rates are a complex system, but it is worth digging a bit. If you like a casino, try and get online to find their payout rate, in general, and for each game. That should give you an idea of how much you can expect winning each time you play. Of course, payout rates are not an exact science and you should not rely blindly on the numbers, but they can be a useful indicator. Things that you will be looking for when signing up into a new online casino are pretty much the same things that you will be looking for when walking into a land casino: a license, entertainment, and a decent customer service. When looking for an online casino, make sure that everything is in order from the legal aspect. Every online casino should have a legal license. If it doesn’t, you risk losing money and not being able to do anything about it. It is like you would not give your payment details to a stranger in the streets just because they call themselves a casino, would you? A good software. Even if you are not an engineer, you will appreciate an online casino that runs smoothly. This is why you should make sure that the online casino you have spotted uses a modern software that won’t let you down in the middle of a gambling session. Of course, being stressed out is not the point of online casinos. Once established that the casino is legal, comes the first part: the games. Most of the casinos allow you to check out the games – but not trying them – before creating your account. This way, you can make sure that the website meets your expectation and has as many different Roulette games or slots as you wanted. Royal Panda Has a Lot of Great Live Casino Games! The customer service aspect is crucial. When playing online, you can’t just walk to someone and ask them for help. The best thing is that you are on your comfortable couch, the worst thing is that no one is there to help you if you need it. That is why the customer service provided by an online casino is one of the key features you should examine before signing in. Most big online casinos have a 24/7 live chat service, but not all of them. If you are planning on playing mostly late at night, prefer going for a casino that will always have a team member available at 5 a.m. Compatibility. When going online, what you are really looking for is flexibility. Being able to play from anywhere at any time. Nowadays, computers are everywhere, but there might come times when you won’t have you wi-fi nearby. If you would like to be able to play any moments from your phone, go for an online casino that has also an app available on your mobile software, or that at least would run well on your mobile Internet browser. This little guide should cover all the questions you might have, from why even choosing an online casino to what is important when you choose one. There are plenty of great online casinos on the Internet, so now that you know all this, you are ready to find the one that suits you best. What Are The Best Online PayPal Casinos in UK to Play Slots?